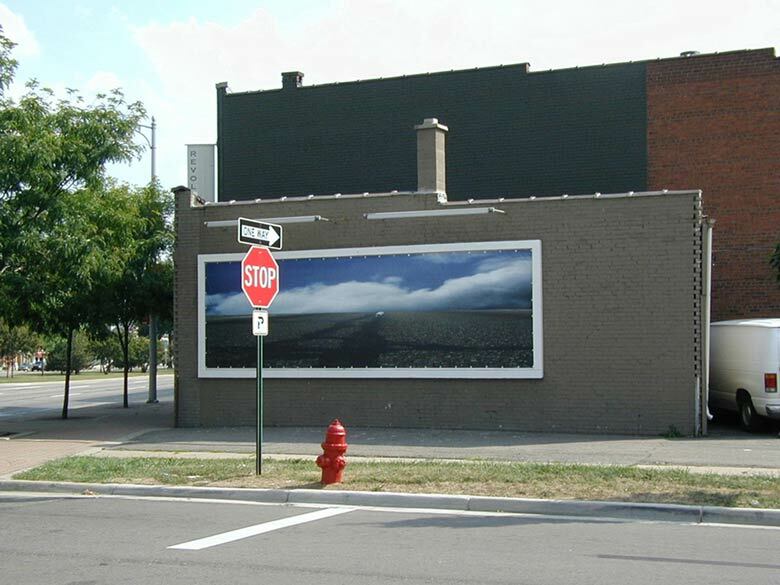 This billboard presents Woodward Avenue as more than a road to be traveled, but as a place to be perceived. Pairing the road surface below with the sky above creates a new horizon, different from the world beyond the windshield, but of the same place. Familiar landmarks have been removed. Traffic has been compressed. Attention is devoted to the elements of landscape most often overlooked when racing towards a destination. I document what is directly overhead and underfoot out of a desire to share my space with others. Perhaps personal space is not defined by the proportions of the body, but by the reach of the senses. 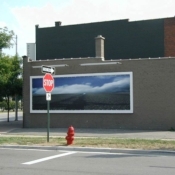 For the southbound driver, this billboard is a landmark referencing the great expanse above and beyond the confines of their vehicle. 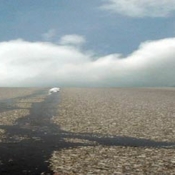 No matter where the road leads, our perceptions never run out of room.